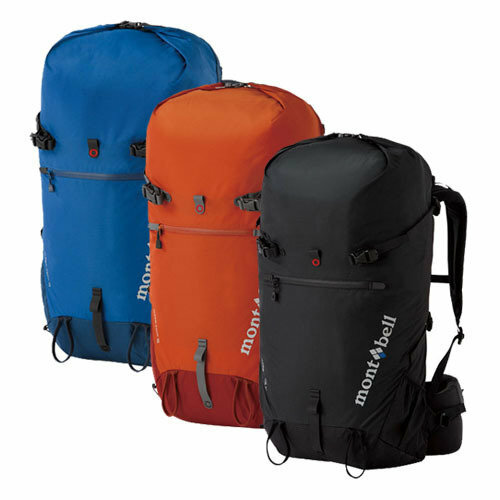 The birth of Mont bell's waterproof trekking pack. The combination of the waterproof inner bag and roll up closure effectively prevents water penetration. Without a top lid, the roll up closure also allows for quick access to your pack's contents. Ushering in a new generation of backpacks. This model provides excellent stability while maintaining a slim silhouette. Won't hinder your movement for smooth trekking even through narrow mountain trails. Includes a convenient pocket for storing small items at the front. Two side pockets for transporting bottles, skis, or trekking poles. Loop on the back of the backpack for securing the hipbelt when not in use. Waterproof inner bag, Aqua Barrier Sack, is included. The roll up closure also allows for quick access to your pack's contents. 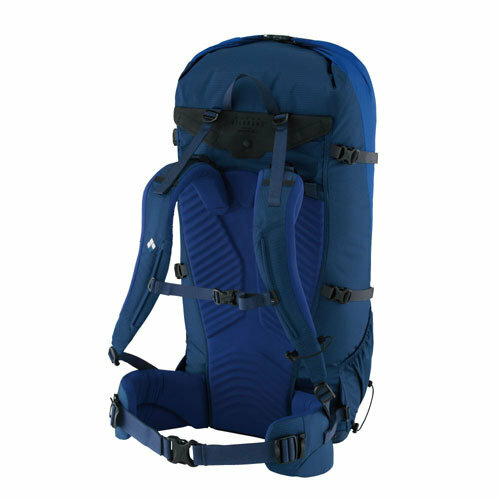 * Although the Alpine Pack has a high level of waterproofing, it is not meant to be used underwater.